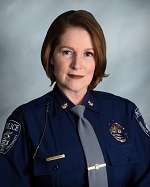 The highest-ranking officer at the Michigan State University Police Department is the Police Chief and Director who oversees the agency by implementing strategic objectives for the greater good of the department and the MSU community. The MSU president generally appoints the Police Chief and Director. Within the MSU Police Department, the Field Services Bureau, the Management Services Bureau, and the Support Services Bureau supervisors administer the operations of the divisions and units within them. As an innovative law enforcement agency, the bureaus continue to evolve and expand to provide law enforcement and parking services to students, faculty, staff, and visitors on the campus of MSU. The mission of the Michigan State University Police Department is to enhance the quality of life on campus by building relationships, strengthening stewardship, and working collaboratively within our diverse community to reduce crime, enforce laws, preserve peace, and provide for a safe environment. Committed to being a world-class department and an innovative leader among University police departments by hiring and promoting talented officers and professional staff, employing the highest standards of performance, implementing best practices in policing, encouraging accountability, and reflecting the values of a global University. The Michigan State University Police Department has an international reputation for its proactive-based philosophy of policing that strives to strengthen relationships and engage community partners in developing strategies to reduce crime. The Michigan State University Police Department strives to adhere to the highest ethical standards and reflect the diversity of its community members. We will conduct ourselves in an ethical manner with all relationships and hold in the highest esteem, our duty and privilege of serving this University community. We promise to act with honesty, to hold ourselves and our peers accountable to the greatest standards of excellence in all of our daily interactions. We embrace continuous quality improvement and enhance the worth of others by empowering and inspiring them to make decisions, foster innovation, and improve performance. Since 1928, the Michigan State University Police Department has served the MSU community by providing a safe environment for students, faculty, staff, and visitors to live, learn, and work. Over 87 sworn officers, certified by the State of Michigan, have been granted with full range of legal powers on property owned by the University or governed by the MSU Board of Trustees. All MSU police officers reflect the community they serve, as they are a diverse group of outstanding women and men who have completed higher education requirements to receive bachelor’s degrees. Some officers have furthered their education with advanced degrees while employed at MSU Police Department. All sworn MSU police officers have lived the college experience so they can relate to the rewards and frustrations of life as a college student. The MSU Police Department provides a variety of services including calls for service, investigations, special event security, emergency management, and parking services. The MSU Police Department maintains a cooperative relationship with local, county, state, and federal law enforcement agencies. This cooperation includes multi-jurisdictional task forces, special event coordination, shared disaster exercises, and joint training programs.